Orchid Daze 2017, while it doesn't have a specific theme as have some past Orchid Daze exhibitions, is absolutely spectacular and as splendid as orchid fans have come to expect from this Atlanta Botanical Garden annual exhibition. 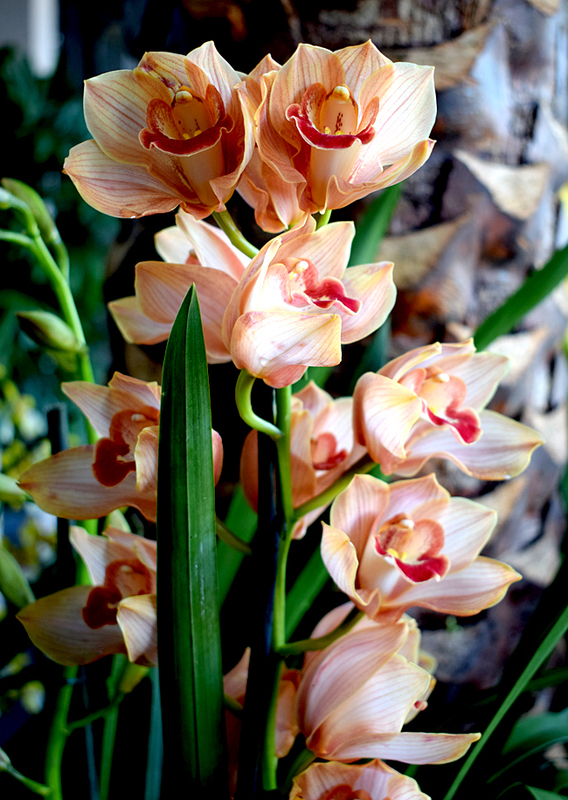 I wish I knew the name of the above pictured orchid...it's my favorite in the exhibition! And I'd love to know what in its evolution caused it to manifest such a gorgeous splatter pattern. 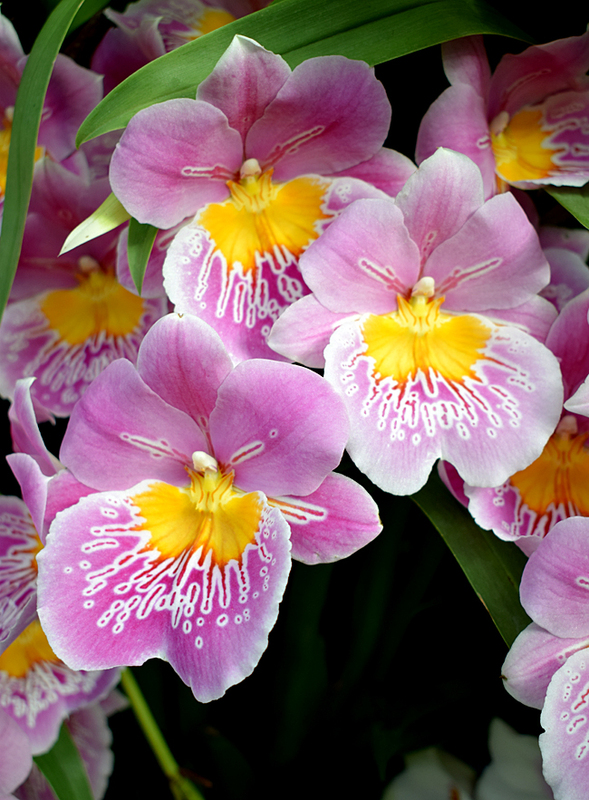 As with any Atlanta Botanical Garden exhibition, there's exhibition specific programming, much of which you've already enjoyed if you're tuned in, BUT there are always orchid opportunities at the Garden. Stay informed all year long by following "The Orchid Column", authored by Fuqua Orchid Center Manager Becky Brinkman. 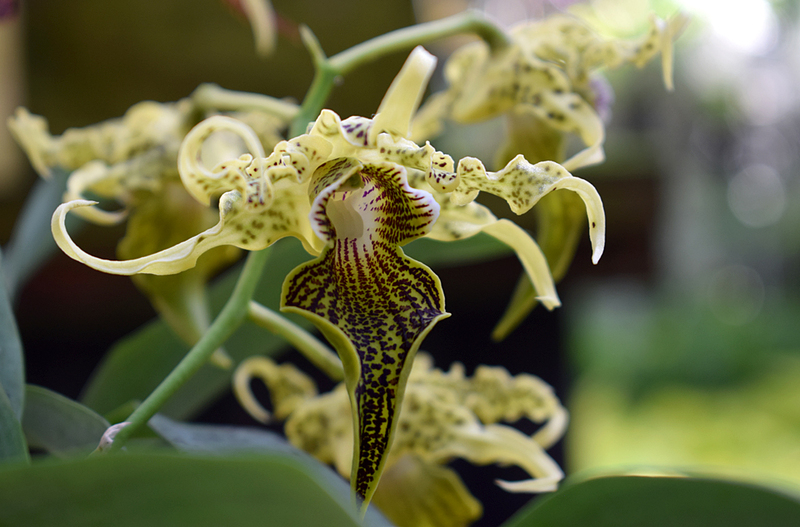 The Atlanta Botanical Garden has an Orchid Library, available to staff and researchers, that features a collection of books specific to the study or orchids and to native an global plan conservation. 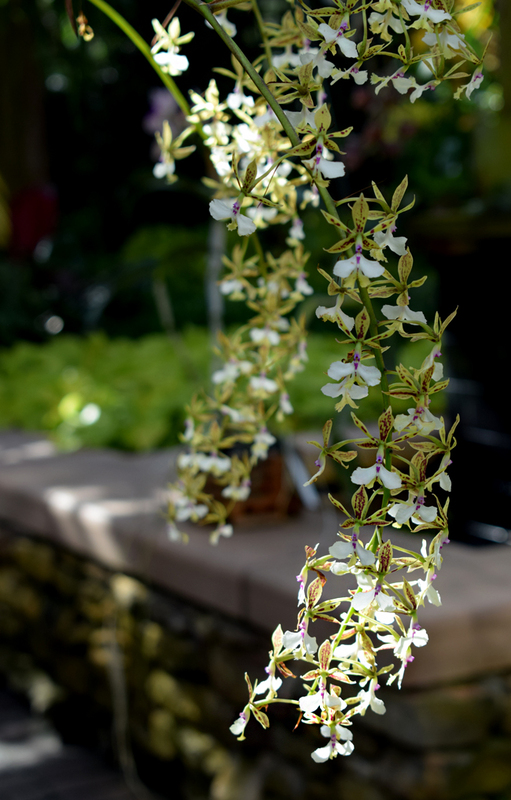 This is one of the items that the Garden doesn't brag about, but totally makes it cool. 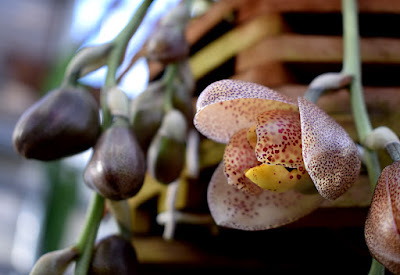 Speaking of orchid conservation, the Atlanta Botanical Garden is considerably more active than most tourists and even Garden members know. They're in the field, effecting positive conservation, on a consistent basis, not to mention what they do onsite. I recently had the awesome opportunity to bring yet another dear friend to the Atlanta Botanical Garden who had never been. Carole is an enthusiastic lover of orchids—and other plants and flowers—so it was an honor to share Orchid Daze with her. She absolutely love the thousands of blossoms! Loving these huge purple planters in the lobby of the Conservatory! 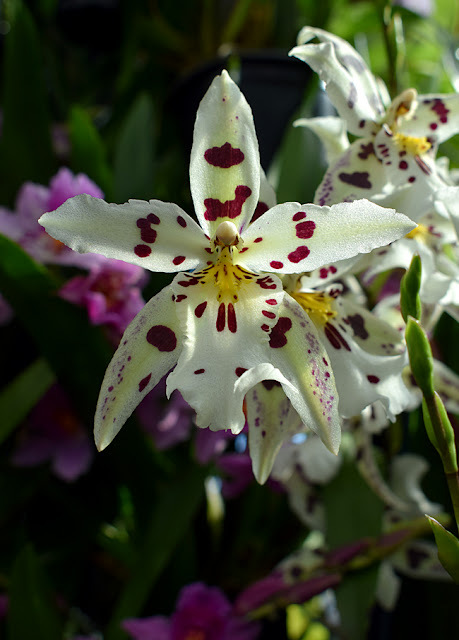 The annual Orchid Society Show is happening right now! I've been to many of them before and highly recommend you go to or put it on your calendar for future years. You're going to see the best of the best! 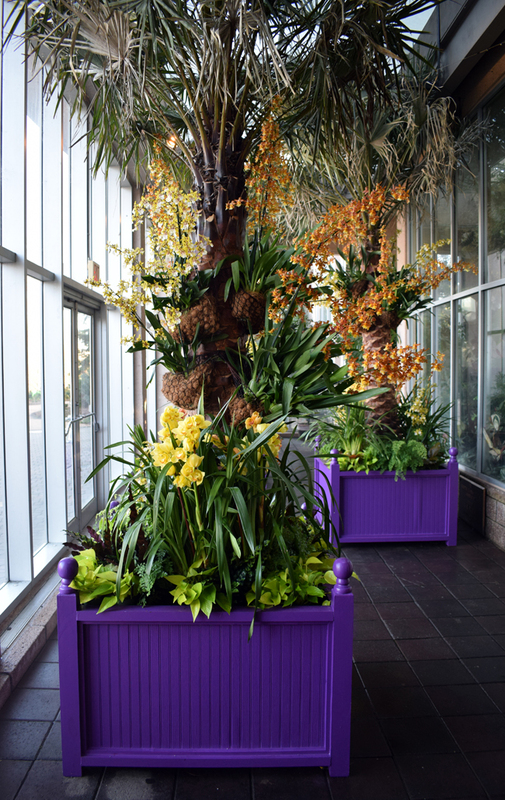 If you've entered the Orchid Center through the Conservatory, you'll finally pass by the Tissue Culture Lab. 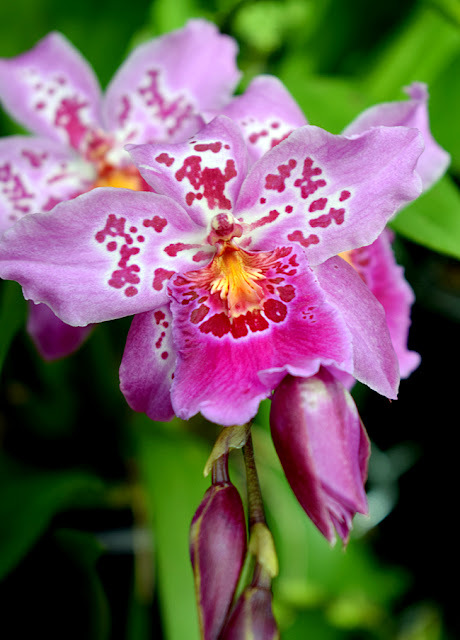 If you're a true fan, or future orchid enthusiast, please take one or a few of the information sheets in a tower in front of the Tissue Culture Lab. I think we all have friends who are trying or have tried to grow orchids with little success. I know some of those people. 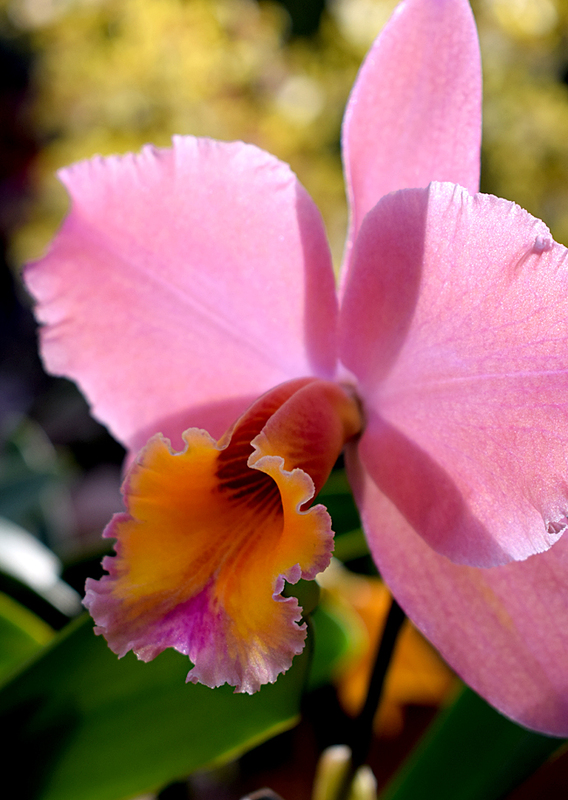 Fortunately, for them the Atlanta Botanical Garden offers an Orchid Care Clinic, free with admission, during Orchid Daze! Seriously...learn how to care for these precious flowing plants! Another wonderful offering of the Atlanta Botanical Garden is its "Plant Hotline". When you have a gardening or plant or flower question, the Master Gardeners at the Plant Hotline will happily answer your questions with a phone all or email. What an awesome perk!!! 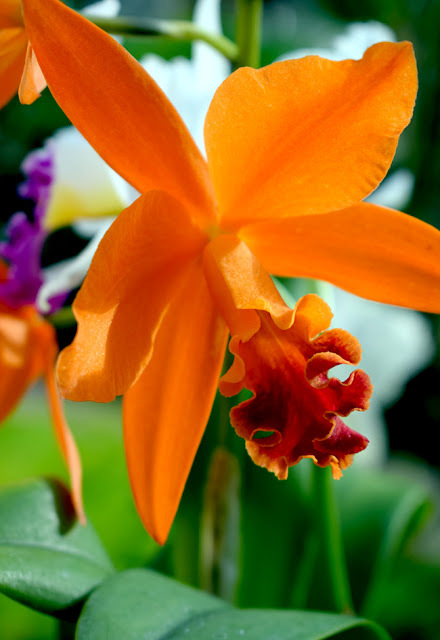 Visit Orchid Daze now through April 9 at the Atlanta Botanical Garden to see thousands of spectacular blossoms that you'll only see once a year, and perhaps only once in a lifetime.